I’m not sure who the people are pictured here on this card, which is at least 100+ years old, so I did a bit of detective work on the web. I found Domažlice (Czech) or Taus (German) is a town in the Plzeň Region of the Czech Republic. For more information on about the city, click here. After searching “Domažlice Knadle” I was surprised to find even more information. The search result led me to a great resource, an online family tree on the Czechs to Vernon website. To visit the specific page from my search result, click here. 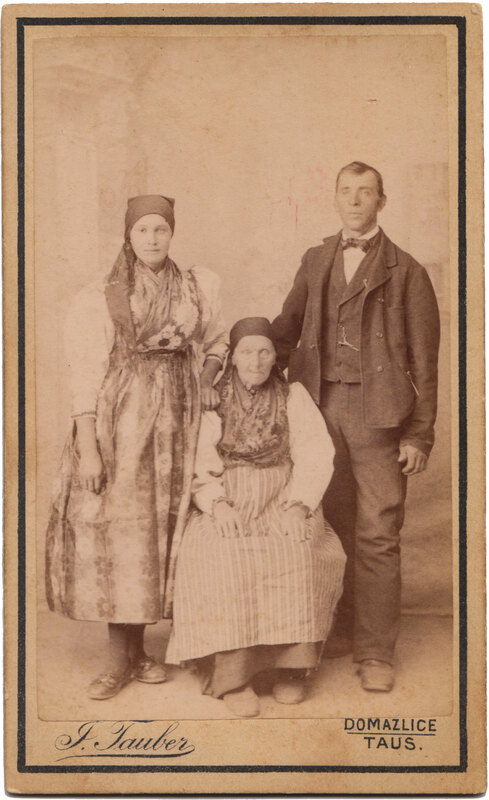 With regards to the information on the family tree page I’m guessing the man standing could be Wencil James Knedlhans or Knadle and the woman standing could be Marie Mary Slama. Perhaps the woman sitting is the mother, Josefa Josephine Fanta or Marie Mary Machacek. I can’t be certain but I never knew about Knedlhans! 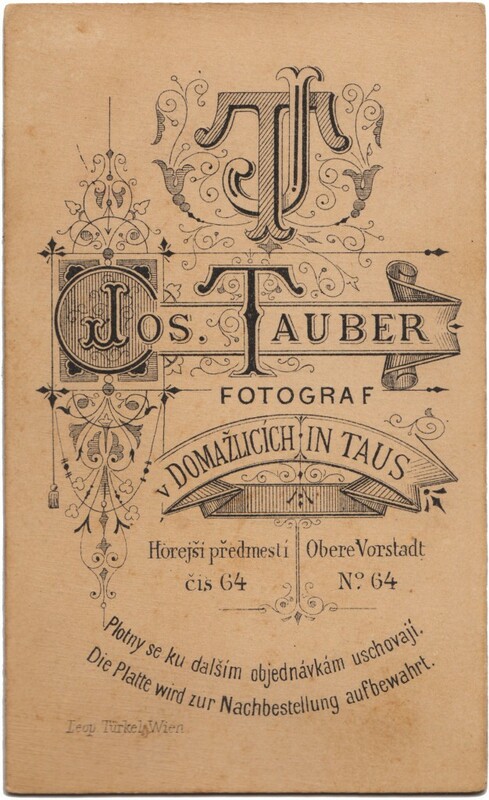 This entry was posted in Photograph, Typography and tagged czech, Domažlice, fotograf, jos tauber, Plzeň, Taus, vernon by lancesknadle. Bookmark the permalink. I discovered all this today just by typing some of the words on this photo card into Google. There’s a Bohemian version of my surname! The Czechs to Vernon website will help me account for the people who are sending and receiving these postcards.